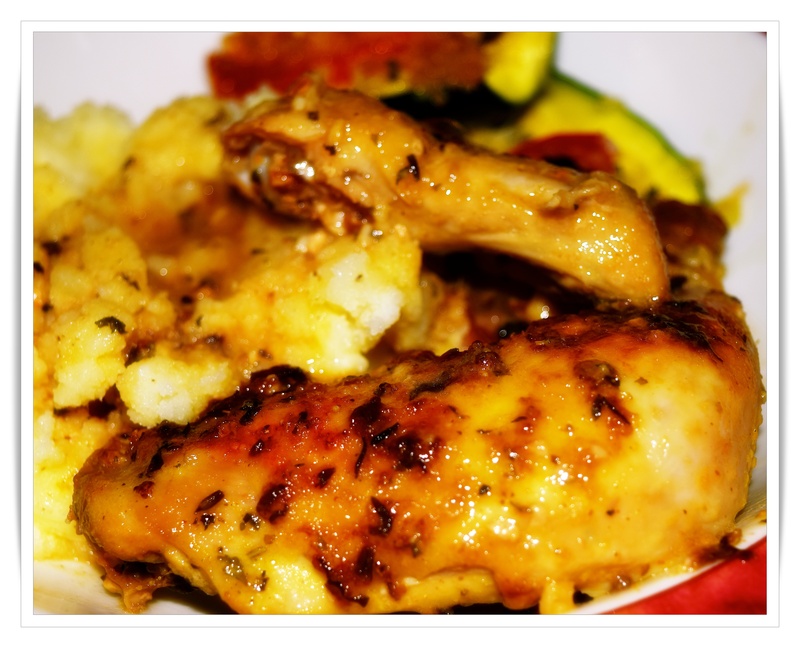 I’m trying to think of what is the most unhealthy part of my dinner tonight, is it the fact that it is chicken rather than turkey, the light addition of a few bread crumbs or cheese on the zucchini, oh no it just can’t be the mashed potatoes, right? Well, the heck with it potatoes in any form are just what a roasted chicken calls for, so cluck it up, make less mashed potatoes, and more veggies! 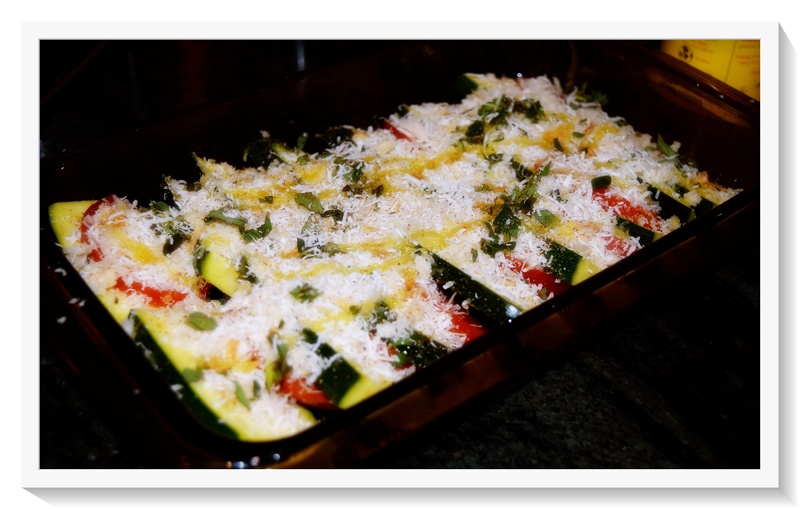 Jacques’ zucchini and tomato gratin was a perfect choice since I asked Michael to grab some of everything in the stands at season’s end. Preheat the oven to 450°F. In the meantime, place the chicken on a cutting board breast-side down and, using kitchen shears, cut along either side of the backbone to remove it. Flip the chicken over and press gently but firmly onto the breastbone until the chicken flattens. Using a sharp knife, slash partway through both sides of the joint between the thigh and the leg. Do the same for the joint between the wing and breast. Combine the remaining ingredients in a bowl and whisk well to combine. In a large over-proof skillet, place the chicken skin-side down and pour half the sauce over it, rubbing it into the flesh. Turn the chicken over and pour the remaining sauce onto it. Place the skillet over high heat for about 5 minutes, until the chicken begins to sizzle and brown. Transfer to the oven and roast for about 30 minutes until the skin is crackly and the chicken is cooked through. Allow to rest for 5 minutes before carving. 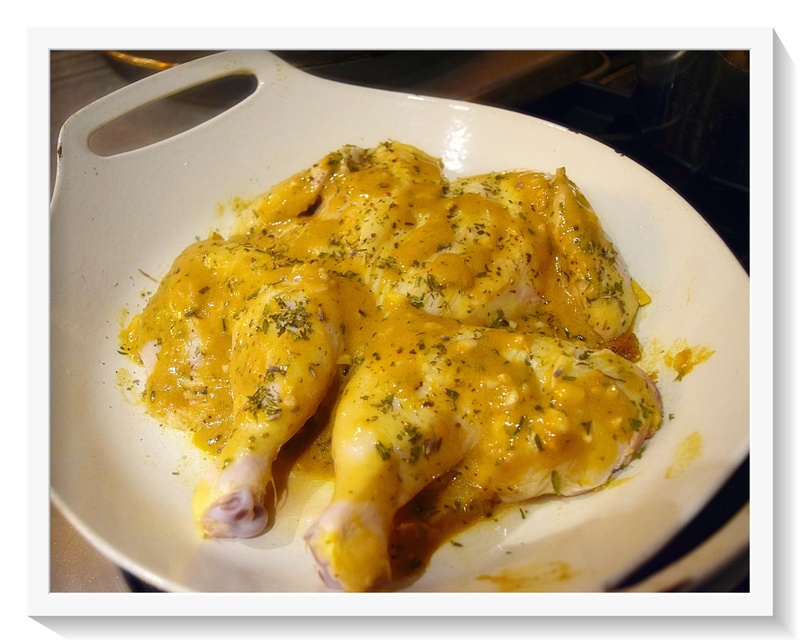 *optional…Deglaze pan with white wine, simmer to reduce for a bit of pan juice.